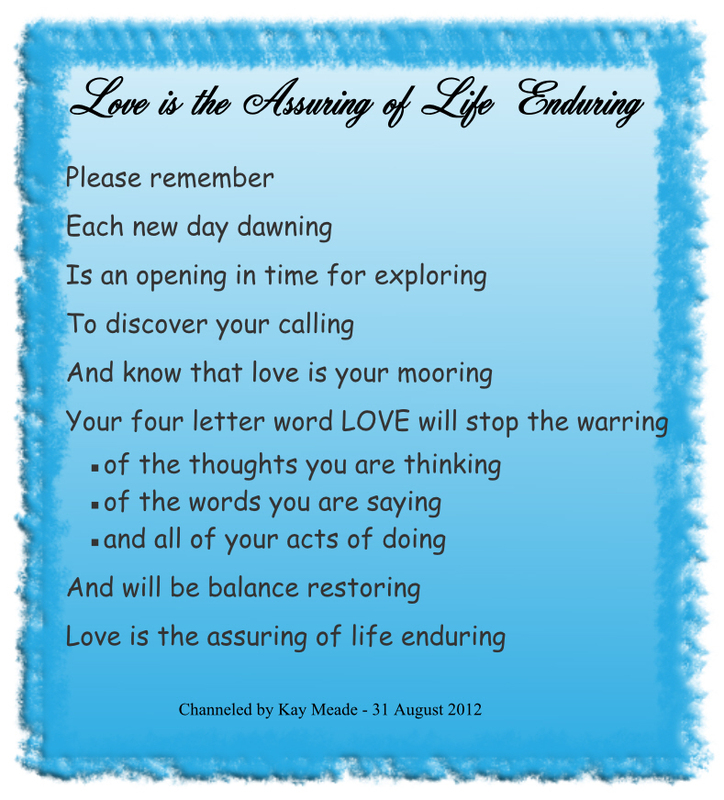 Kay Meade’s beautiful new guided meditation CD called Messages in the Meditations is now available to download from…. 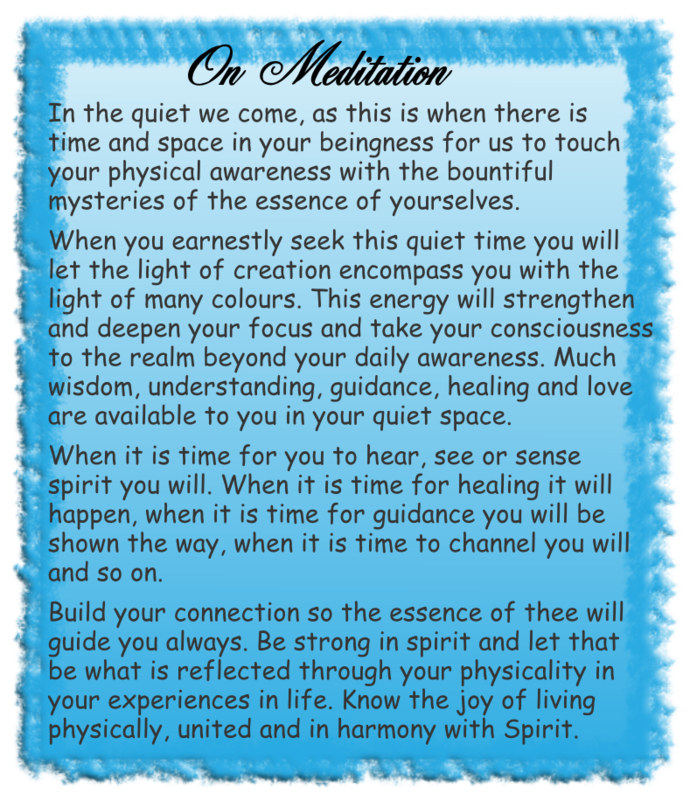 These three guided meditations are delightful visualisations that take you on spiritually enlightening journeys all set to beautifully composed music; there are also two magical musical tracks for your personal meditation and spiritual expansion. 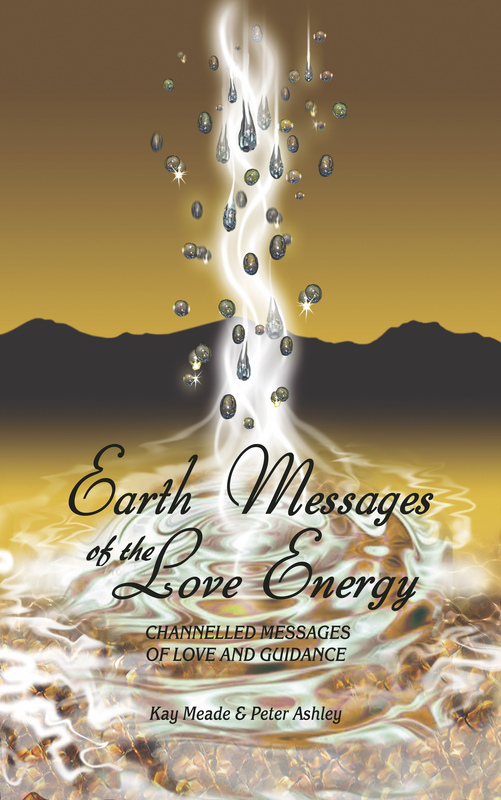 The Kindle e-book version of our book ‘Earth Messages of the Love Energy’ is available FREE from amazon.com (or your local country’s amazon website) for 5 days 11/15 January 2015. Click this link to obtain your free copy of this book. You can use the Amazon ‘Look Inside’ feature to view the initial pages of the book. Note: It is not necessary to have a Kindle e-book reader to read this e-book. There are free reader applications available from amazon.com that allow Kindle e-books to be read on a iPad, iPhone, iPod Touch, Blackberry, some Android devices, PC and Apple computers, etc. More details are available at amazon.com when purchasing a Kindle e-book. 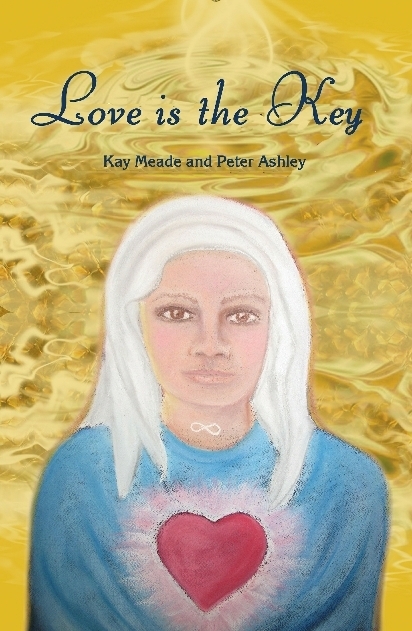 New Zealand trance medium Kay Meade channels messages of love and guidance. 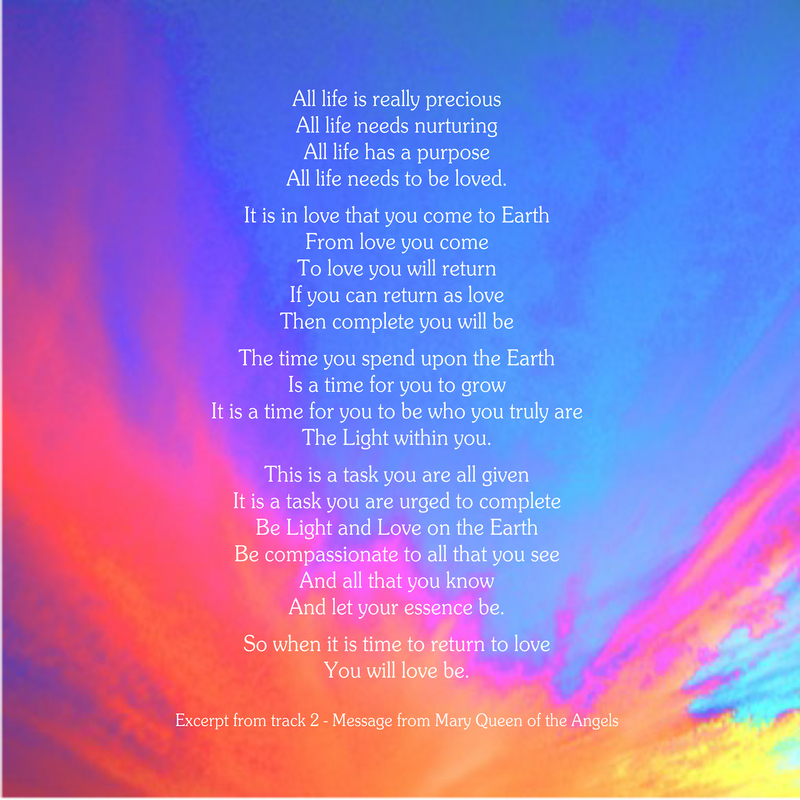 The messages come from a group of spiritual guides who call themselves ‘The Circle of The Light of The Love Energy’. The purpose of their messages is to awaken people to what they really are – an eternal soul temporarily inhabiting a human body on Earth so as to learn and develop spiritually through their experiences here. The group’s aim is to help raise the vibration of Earth and humankind to a higher spiritual level where all interactions between people are based on love. They have asked that their messages be spread far and wide.